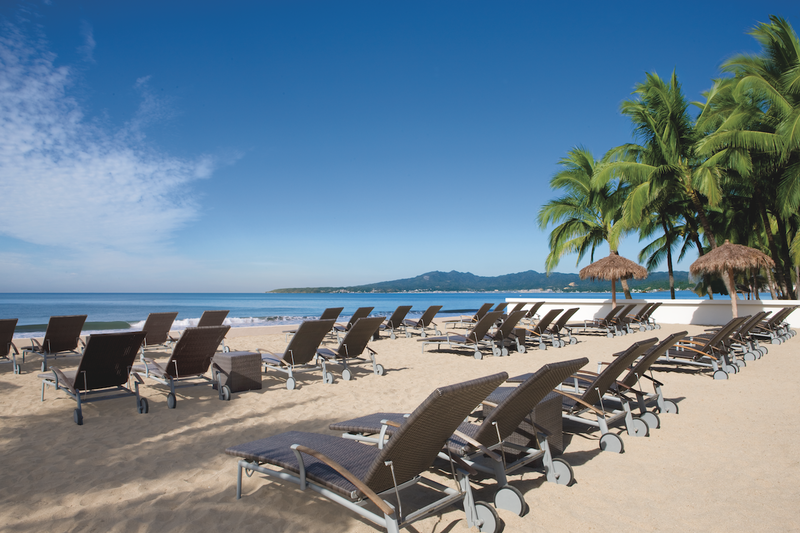 Located on the sugary shores of the Banderas Bay, and surrounded by the beautiful mountains of the Sierra Madre Mountain Range, rests Dreams Villamagna in Puerto Vallarta. 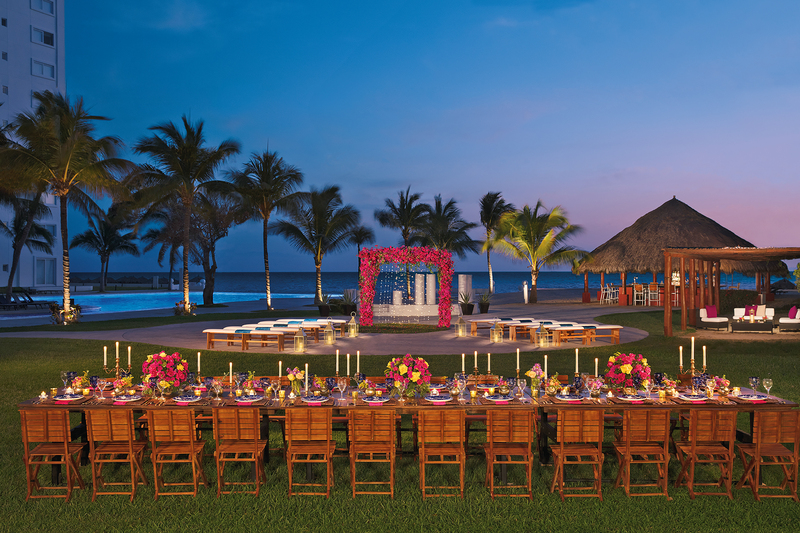 The surrounding beauty and elegance will make your Dreams Villamagna wedding a truly special occasion. 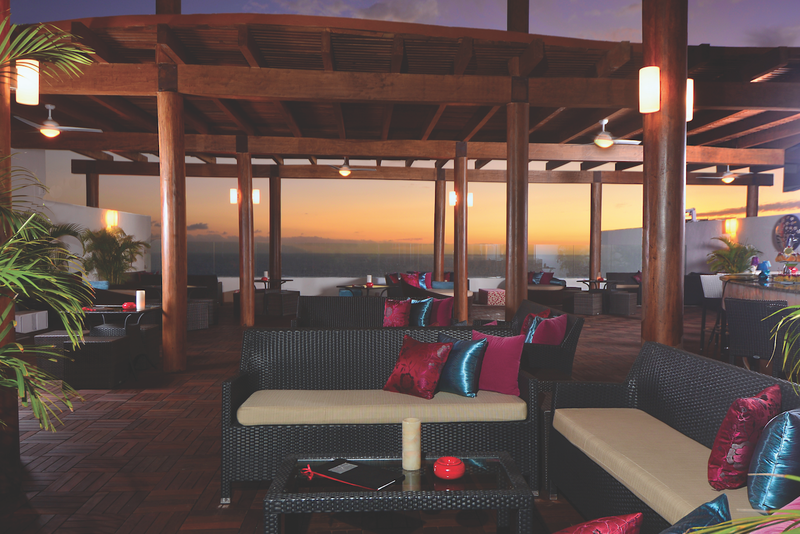 The rooftop terraces of the twin 10-story towers that make up the resort provide 360-degree panoramic views of the scenic area. Unwind on the beach or relax at the largest collection of pools in the region to enhance your stay. All suites in the resort have an exterior whirlpool on their terrace or balcony! Offers complimentary bicycle tours to Nuevo Vallarta, a residential community only minutes away. This is a family-friendly resort offering babysitting amenities, supervised kids and teens clubs, and is perfect for wedding parties made up of families they want to attend. All outside events must end by 10pm. As an AM Resorts preferred partner we are able to give our couples exclusive inclusions based on availability, including romantic dinners, breakfast in bed, and discounts on spa treatments. Rooms range from $160 – $220 per person per night. Every room includes wifi and a private furnished terrace with a whirlpool, that includes a hammock for ground-level rooms. All room categories with a king size bed will also include separate living rooms and bedrooms. Children ages 2 and younger stay free, and kids 12 and younger can stay free during certain times of the year. 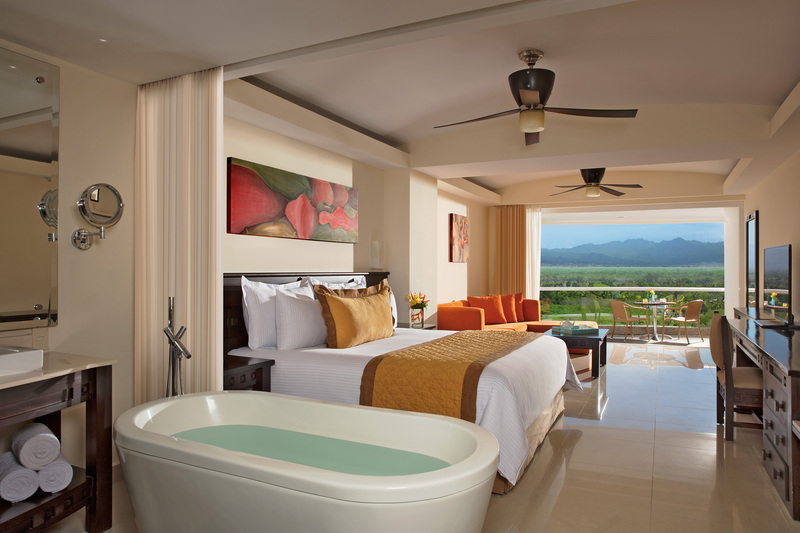 There are 229 total guest rooms with views of the Banderas Bay or Sierra Madre Mountain Range. Two bedroom, connecting rooms, and handicap accessible rooms are all available in order to accommodate all guests’ needs. The property is known for being the twin 10-story towers. Preferred Beach – 200 guests max, Gazebo – 100 guests max. Bedroom Presidential Suite are adults-only rooms with 2 adults max. Children are ages 12 and younger. The resort will host 1 wedding per day Monday thru Saturday. Weddings will be held at 5pm or 6pm. High-season months typically include March, April, May, June, October, and November. It is always encouraged to have your guests book their stay 6 months in advance since the hotel has a 90% chance of selling out during these months. 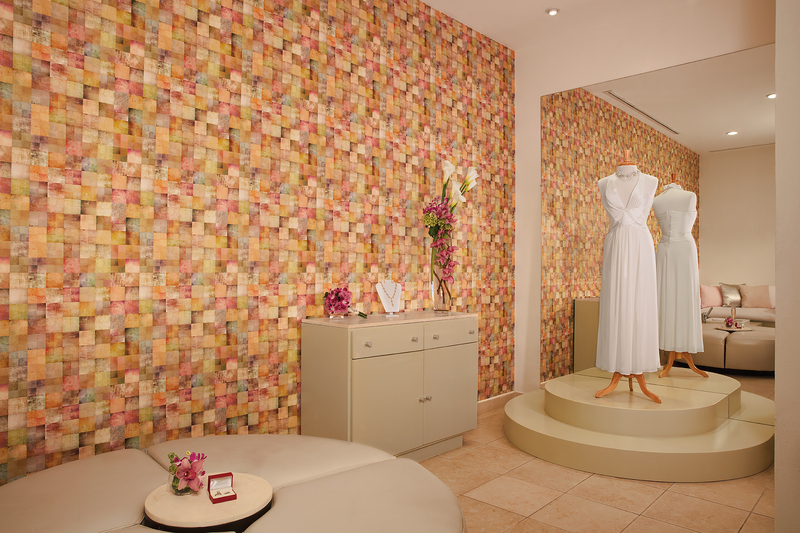 Dreams Villamagna is located 8 miles from the PVR airport. The resort is about 5 minutes outside of downtown Puerto Vallarta. 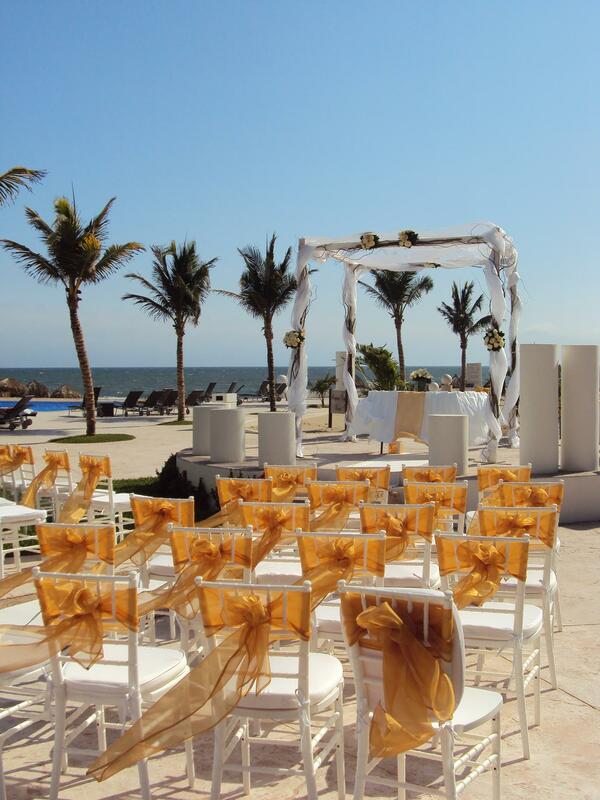 Q: What makes Dreams Villamagna such a great place for a destination wedding? 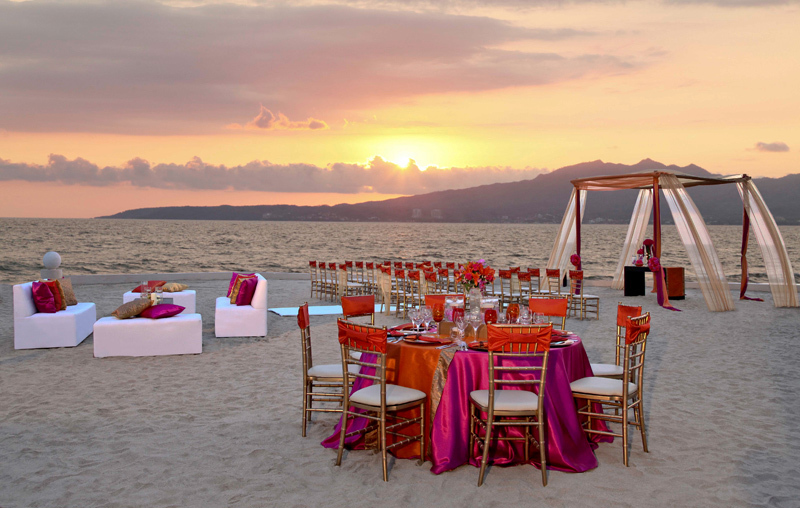 A: We celebrate our weddings on a private beach area inside the property, so we can guarantee that couples will have a beachfront wedding without people crossing over in the way. Also, we only celebrate one wedding per day, so all our locations can be used by the couple (for example, if they want to do the ceremony on the beach, then cocktail hour in our terrace and reception on the garden). A: When a wedding can come together in person! It can be difficult to plan a wedding without seeing the areas and doing everything by email, so when a wedding is what the couples want; it is my favorite part. 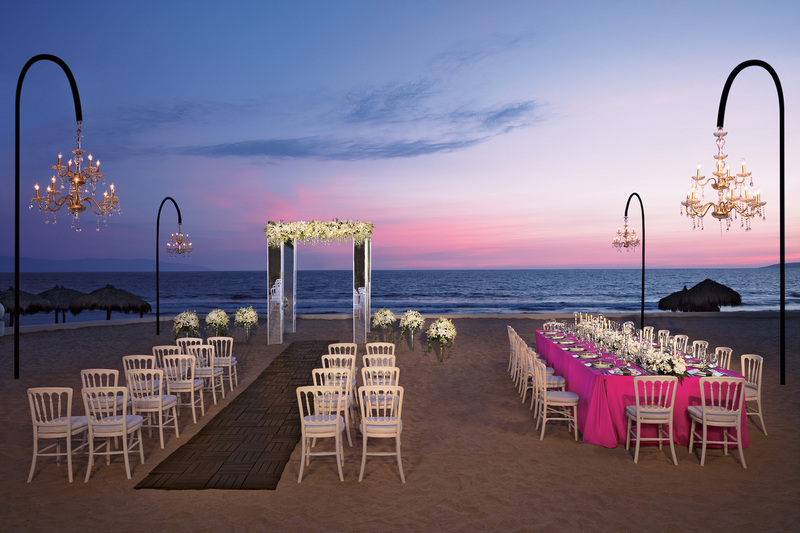 Q: What are the challenges brides face when planning their destination wedding at the resort? A: What time to end the event. Our outside events must ends at 10:00 pm. As a suggestion we offer to continue the party in our bar that closes at 12:30 am (not as a private event, as this bar is part of the all-inclusive) or to hold the event in our ballroom so it can run until 01:00 am. Extra-hours services may have additional costs.